In the project highlighted here we provided a multiple component shaft assembly for a customer in the Food Processing industry. This project represented a total order of 4500 finished pieces that include the 3 part shaft assembly and a spring pin, which we sourced from a trusted supplier. The 2 machined components are composed of type 420 and type 303 stainless steel; 420 was chosen for the couplings because of its high strength after heat treating and corrosion resistance. 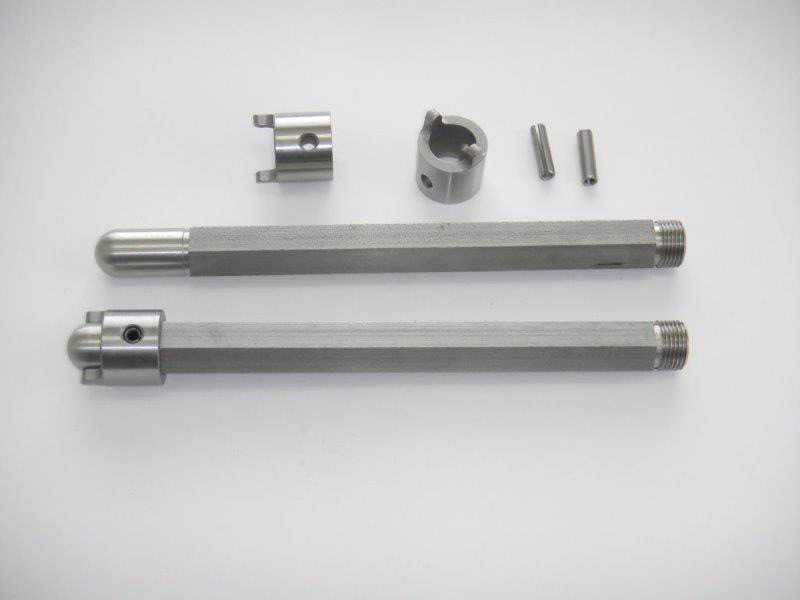 303 stainless steel, which is one of the most common grades used for shafts, was used for corrosion resistance as well, plus its machinability. The customer supplied design called out dimensions of 1-3/32” in diameter, 9-1/64” in length, tolerances as close as ±.0003”. 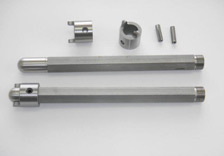 To meet these dimensions and tolerances, our manufacturing process required a number of precision machining operations. This included the use of multiple spindle screw machining, CNC turning, milling on a vertical machining center, centerless grinding, and complete assembly. In addition these assembled parts were inventoried and shipped as required by the customer.